I’m will be writing some articles and publishing them on the site – a new article each month. I know that there are lots of new musicians, students and bands who are looking for background and advice to help them in their early days. This months “Auditions” and the importance of being Prepared and how to condense your skills into a few decisive moments. I am presenting a “What’s it Like” lecture to the students at the Academy of Contemporary Music (ACM) in Guildford on Tuesday 1st of March, 1100 to 1300hrs in Guildford. I’m hoping to talk through what I do, Teach, Gig for Bands, Tour, play for Sessions and over the last five years work with Record Labels as a Musical Director to help with new talent, bands and helping bands and musicians develop. Really looking forward it – it’s great to get questions and be able to share some experience. We’re hoping to get some material from the lecture which we hope to get online – so check back in March!! I’m sure you already know – but the “London Bass Guitar” show is at Olympia, 12 & 13th March! Check-out all the stands, Eden, Overwater and Rotosound and perhaps see you there? I’m really pleased to announce my endorsement for Rock-Wire. Rock-Wire makes and provides top-quality cables for musicians – using the strongest and most durable components, but also designed to give the best results. I’m really pleased to be their first “endorseee”!  I’ve found some more of your YouTube videos – this time Chris Norman. I am really pleased to be “online” at the Overwater Basses website as one of their current Endorsees. Chris and all the staff at Overwater have listened and understood all of my requirements as a bass guitarist and I now have the best guitar I have ever played. I can’t thank them enough for their support! Is it too late to wish everyone a Happy New Year? 2010 is looking to be a busy year! At the moment I will be working with Nik Kershaw and Mary J Blige with Festivals this summer in Europe and the UK – Check out the YouTube Movies from Eckenforde and Esbjerg. Eden Electronics provided some fantastic amps in 2009 and I’m really looking forward to possibilities with Eden, including the NAMM show in Summer 2010. 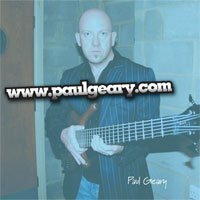 Watch out for some new Bass Guitar Style Guides, including some Paul Geary Videos and Downloadable material. The Donny & Marie show was great, the energy was amazing and the programme that went out on ITV had a really strong image which is how it felt from the stage. Very pleased to be involved and it was a great experience. Paul Geary has worked with Lisa Stansfield, Gabrielle, George Michael, Simply Red, Chris Rea, A1, Nik Kershaw, Donny and Marie Osmond, The Lighthouse Family, Liberty X, Chris Norman, Geri Halliwell, Dane Bowers, Sophie Ellis Bexter, Clarksville, Enrique, Phix, Dside, Blazing Squad, Rachel Stevens, Mary J. Blige and WestLife. He is also an active Musical Director, helping to select, develop and mentor musicians for Sony Universal / Warner Music / Polydor, & EMI Labels. Paul endorses Overwater Bass Guitars, Rotosound Strings, Rock-Wire and tc electronic.